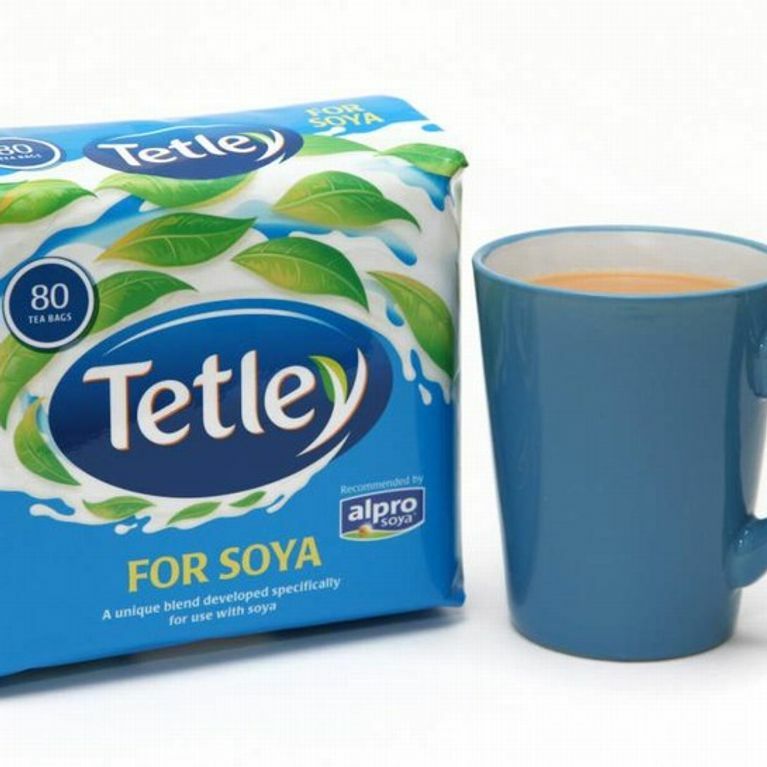 Vegans will be pleased -Tetley have launched a new blend of tea specifically for a better taste with soya milk. If you're doing a dairy detox or simply aren't a milk fan, then you're probably already familiar with soya milk alternatives. But if you're a tea drinker too, then no doubt you'll have noticed that your usual cuppa just isn't the same with a dash of soya milk. Luckily the folks at Tetley have just launched the first ever tea specifically designed for a better taste with soya milk. Amy Holdsworth, Marketing Manager from Tetley said 'we learnt from our consumers that soya milk makes tea taste quite different. At Tetley, we believe that everyone deserves a great cup of tea, so taking on board their comments; we’ve blended a fantastic quality tea that produces the best tasting cuppa for soya drinkers'. This latest soya friendly tea launch is just as well - recent research has shown that the number of soya consumers is on the rise with almost 4 million homes across the UK adding soya products to their shopping lists. Soya's natural health benefits include helping to lower cholesterol, a low saturated fat content and a natural source of healthy plant based protein, so it's a great ingredient to include in a healthy balanced diet too.